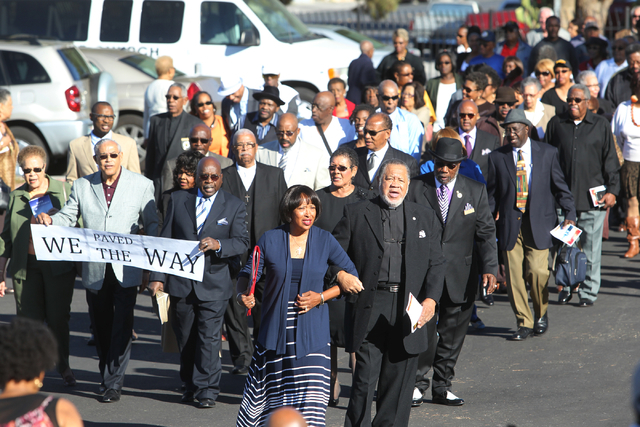 The march from the “old” Unity Baptist Church at 545 Marion Drive to its new building on Oct. 31 was about a stone’s throw. The new church is right next door, at 543 Marion Drive. But the journey to get there has been long. 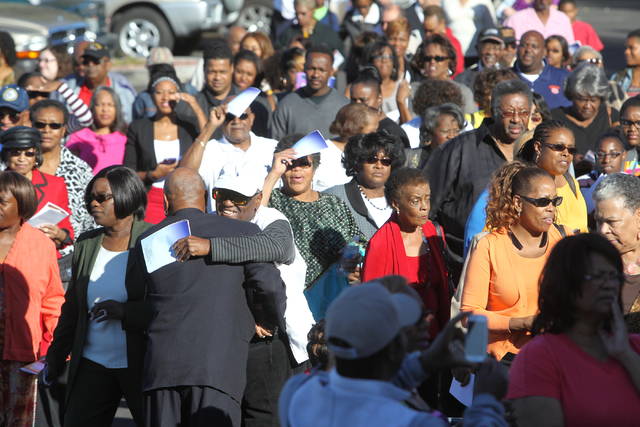 The march from the “old” Unity Baptist Church at 545 Marion Drive to its new building on Oct. 31 was about a stone’s throw. The new church is right next door, at 543 Marion Drive. But the journey to get there has been long, the Rev. Raymond L. Giddens Sr. says. 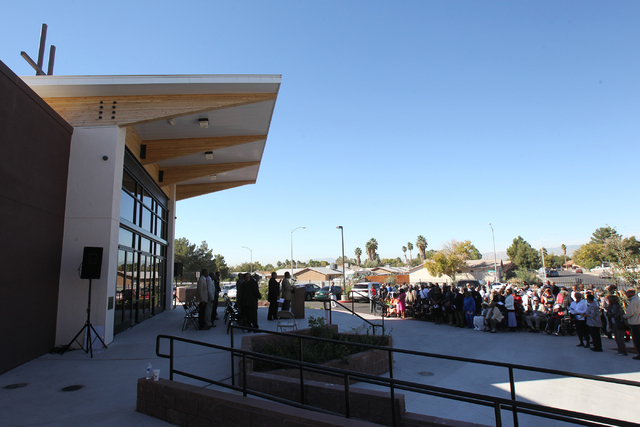 The event — one of several over the weekend — culminated in a dedication and ribbon-cutting ceremony, followed by lunch. 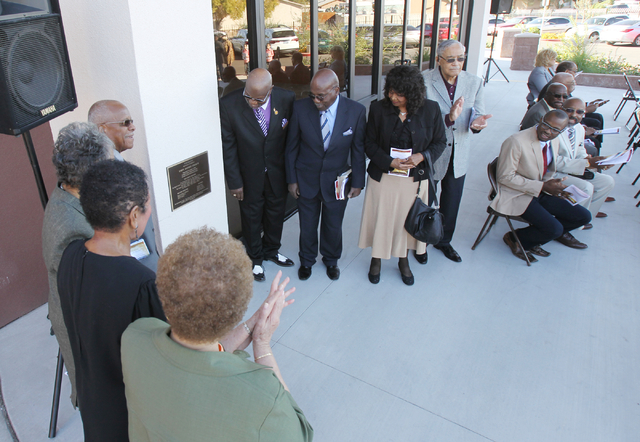 For many of the members, founding members and pastors past and present in attendance, the event didn’t merely mark the celebration of a new building to accommodate a growing church. “I dreamed of this pastor,” she adds, recounting the time she got up and gave testimony about the dream, shortly after the arrival of Giddens and his wife, Linda. “One of his visions was to see the church built,” adds Helen Rivers, who has served as church secretary since the pastor’s arrival. 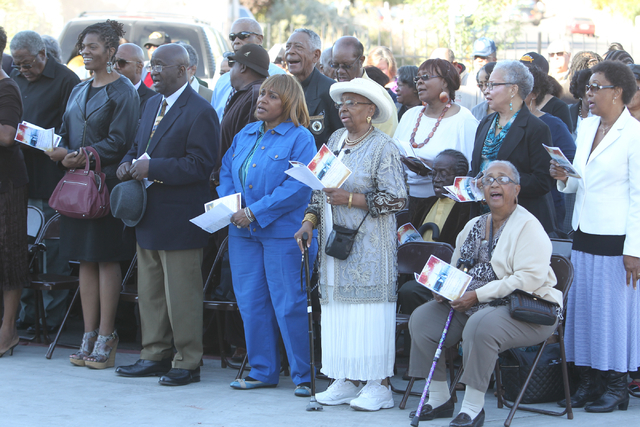 Rivers also served on the committee that planned the dedication program for the weekend. The hardest part of that vision, she says, was having to let it go for a time. The momentum resumed about a year ago. 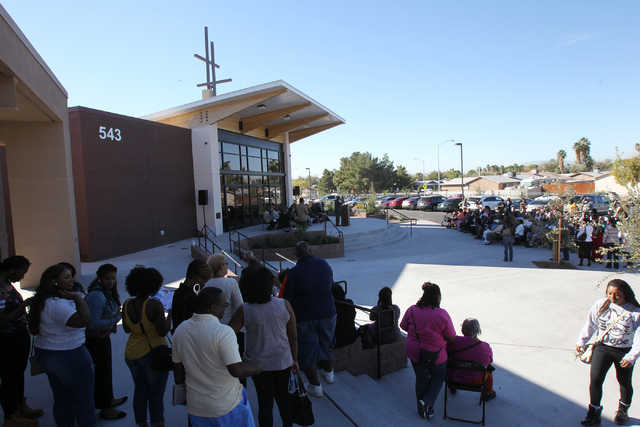 The project ran into unexpected costs during construction and the congregation had problems securing a necessary loan, Giddens says. 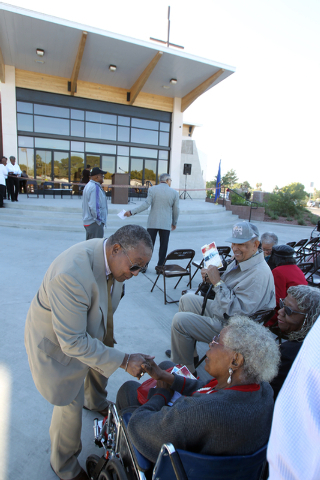 With a membership roll of 500, according to Giddens, special days were getting crowded at the old building. Church meals took place in shifts. And trainings spilled over into the sanctuary when one room couldn’t hold everyone. The church took its financial lumps and pressed forward, doling out $300,000 to restart the project, Giddens says. 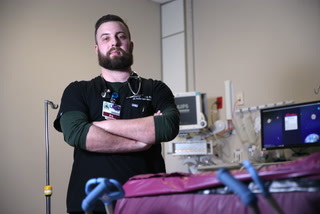 The total cost of the building was about $3.6 million to $3.7 million, he adds. 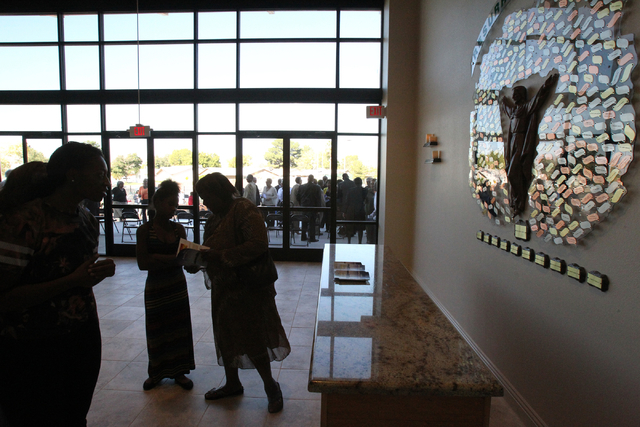 With the new building, the church has 10 large classrooms and a Fellowship Hall that holds 400-plus. 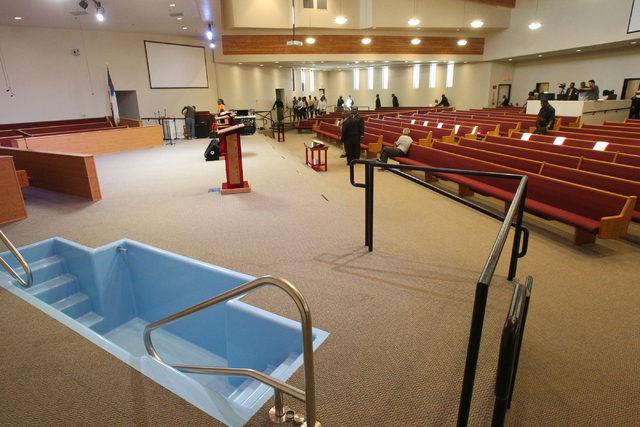 According to Rivers, the new church can hold about 700 people. Devoting some of that space to a new preschool is part of the vision, Giddens says. So is collaboration with the family court system in which the church fills a gap in services by providing a safe haven where wards of the court can visit with their families. It’s a far cry from a table at McDonald’s or Burger King, where such meetings are likely to happen, Giddens says. Unity Baptist Church has been active, locally and globally, taking its seat at the table in the Mayor’s Faith Initiative since its inception, and meeting with the Metropolitan Police Department once a month to address the issues of the homeless. 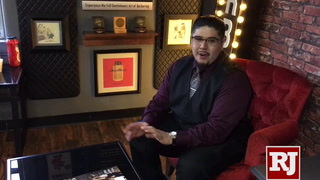 Serving hot meals, giving away clothes, making mission trips to Africa — building a church there while also building one here — and putting aside money to assist kids with higher education have all been on the roster of church activities. 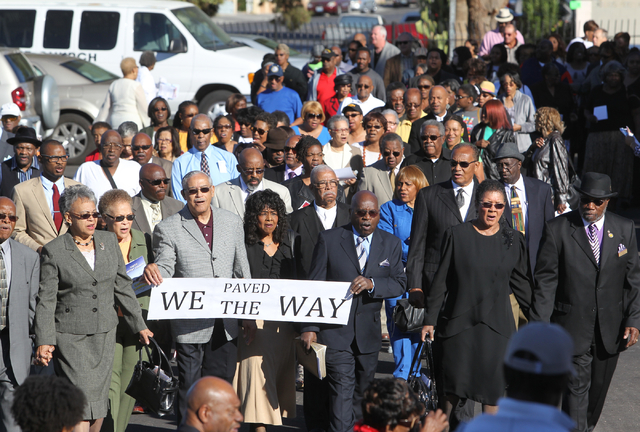 And, church ministers have walked with the Culinary Union, supporting efforts for improved wages and contracts. 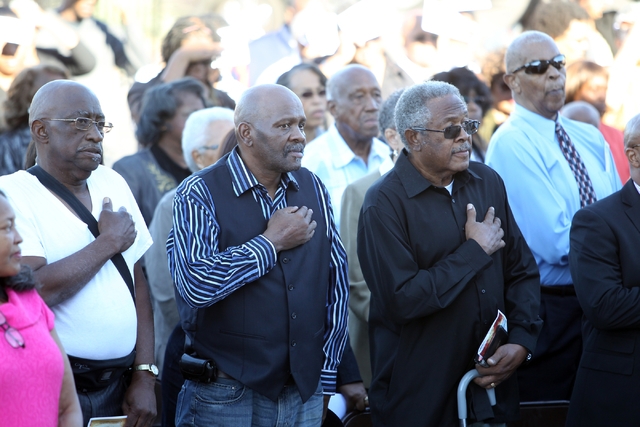 “We are honored to have Rev. Giddens’ steadfast support, as a member of the Clergy and Laity United for Economic Justice of Las Vegas, for workers and their families, during the most recent citywide contract negotiations, and with Station Casinos workers’ struggle for a fair process,” says Geoconda Arguello-Kline, secretary-treasurer of Culinary Local 226. 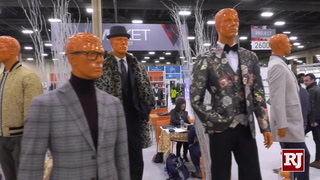 With more room for Bible study classes, conferences and banquets, Giddens says he hopes the church will be a seven-day-a-week hub of activity, with longer hours. 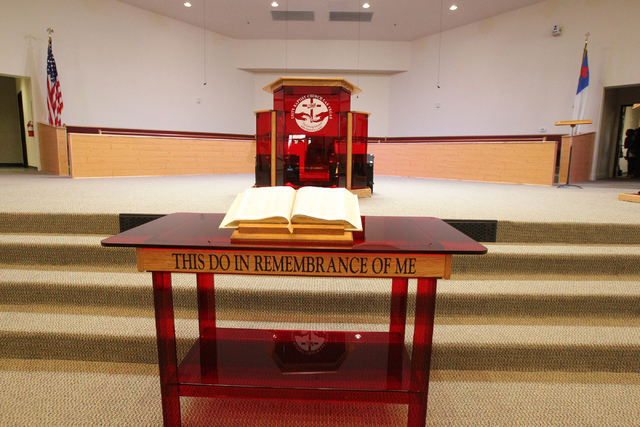 To work toward that goal, and help provide new furniture for the new building, the church initiated the Nehemiah Project, the latest leg of its fundraising efforts, about a year ago. Grants and partnerships with city and county government are also among the possibilities for financing community-service programs. That schedule bears little resemblance to Unity Baptist’s roots: 13 people sitting in the home of founding, planting minister Fletcher E. Harris and his wife, Edna, on a Sunday in May 1981. 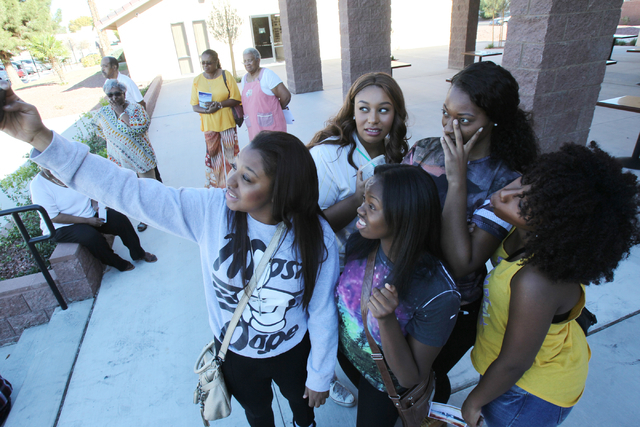 The group outgrew various locations, including one at UNLV, as well as a union hall on East Bonanza Road. In 1989, according to the church’s website, members marched from the union hall to their “new” building, now the old address at 545 Marion Drive. “I planted, they watered, and God gave the increase,” he says. He and his wife have since gone on to plant elsewhere. But for Edna Harris, the recent celebration brought back memories of her children and grandchildren growing up in Unity Baptist Church. 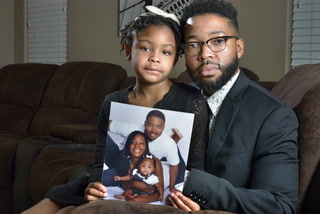 As a full-time teacher with four children at the time, she believed in her husband’s vision, and helped support it, in spite of the sacrifices. Among recent newcomers is Patricia Butler-Brown, who spent her 11th wedding anniversary on her knees with her husband last year, praying in the new year at the Dec. 31 watch service meeting. She officially joined the church this past June. 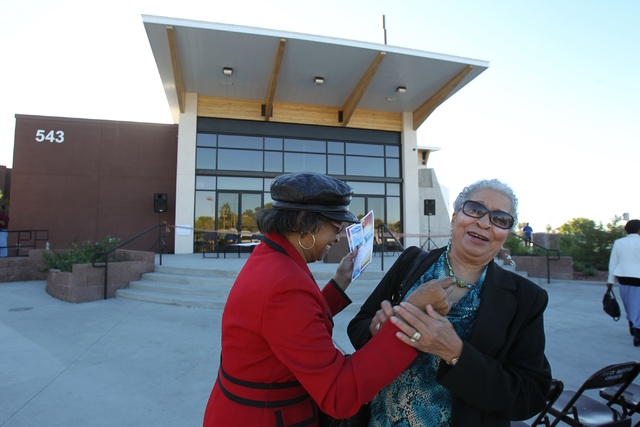 But the new building is “just a building,” she points out. 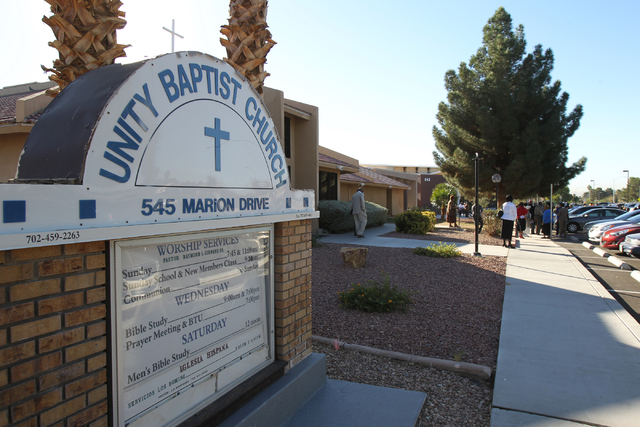 For more information on Unity Baptist Church, visit www.unitybclv.org.